On Monday, 27th September the Environment and Conservation Association convened a group of concerned community leaders, who met in Boksburg and constituted a new organization, called Clean Water Foundation. C.W.F a national, independently constituted organisation whose aim it is to provide a comprehensive service in respect of responding to the escalating national water crisis in South Africa. C.W.F. aims to focus their efforts on water justice and providing healthy water from source for present and future generations. It will ensure that it offers an anonymous toll-free contact number for whistle-blowers and will be responsive to any complaints from civil and government sources regarding the intentional, negligent and/or willful destruction of South Africa’s water resources . C.W.F. welcomes all like-minded organizations to strengthen our position nationally by joining forces with them. Office bearers on the executive of this new Foundation are Nicole Barlow (ECA – Environment & Conservation Association), Chair person, Carin Smit (SANNC – Synapse Africa Neuro-Nutritional Clinic) Vice-Chair, Dr. Pieter van Eeden (ECA) and Johan Botha (NRA – National Ratepayers Association), as well as Irene Main (SAVE – Save the Vaal Environment) (portfolio – international liaison). The Environment and Conservation Association said in a statement on Tuesday that it was estimated that in five years, almost 80 percent of the country’s fresh water resources would be so badly polluted that no process of purification available in the country would be able to clean it sufficiently to make it fit for human or animal consumption. 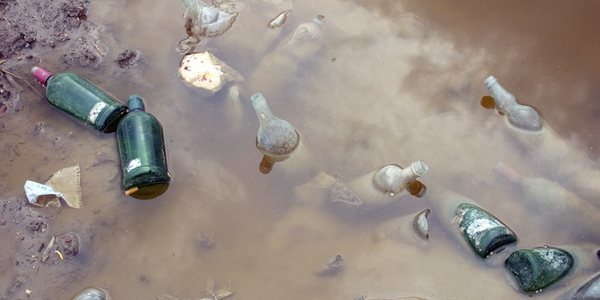 The impending disaster that would be created by acid mine drainage as well as sewerage and industrial pollution had on many occasions been brought to the attention of the government, however with no positive results, the association said. The association would embark on a massive water monitoring project where it would roll out water testing and monitoring in the six major water catchments in Gauteng and Limpopo, to produce independent and accurate results of exactly how bad the country’s water was. Those results would be released to the public and the media, both locally and internationally. Water preservation and conservation was not just an environmental issue, but an economic issue.